The start of construction for Lynnwood Link is only weeks away, just over a decade since the project was approved by voters as part of the Sound Transit 2 package in 2008. The first inter-county Link trains are scheduled to arrive in July 2024, traveling on 8.5 miles of elevated and surface tracks along the side of Interstate 5 between Lynnwood and Northgate. 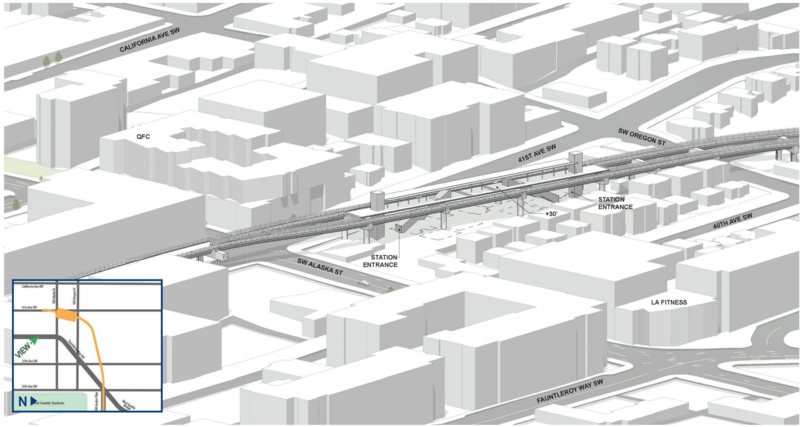 While a firm groundbreaking date has not been announced yet, Sound Transit has released detailed plans for the scheduled construction activities at and around each of the project’s four planned stations. While the status of Northeast 130th Street Station is still up in the air, the citizens of Shoreline, Mountlake Terrace, and Lynnwood will have easy access to their stations once opening day arrives, but will have to deal with varying levels of disruption over the next five years. Engrossed Substitute House Bill 1793, having been revived last week and passed out of the House, now faces a showdown in the Senate Transportation Committee, where it must be heard and voted out Wednesday morning. At time of publication, the bills to be heard at the meeting were not publicly listed yet. 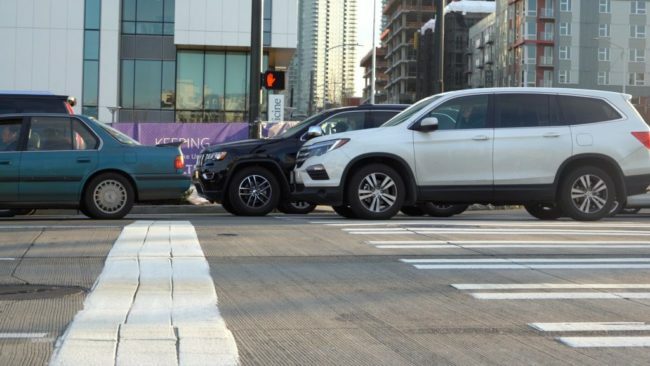 The bill allows camera enforcement of bus lanes, HOV lanes, crosswalks, ferry lanes, emergency vehicle access, and blocking the box, with tickets being mailed instead of handed to drivers while blocking traffic. During the sausage-making process, the bill has been reduced to the downtown Seattle area only, and only for a pilot program expiring at the end of 2021, with only warnings being mailed in 2019. Starting in 2020, the first offense will still get a warning. Also, the state gets half the action on the profit from the ticketing. 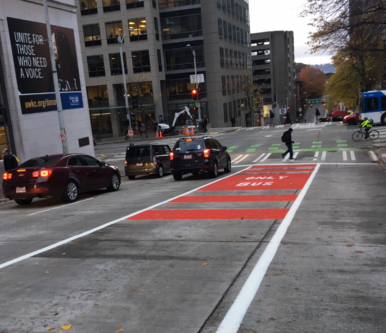 The bill requires signage to be placed 30 days before camera enforcement starts, but still has no requirement for clear pavement markings, such as red paint. Three Democratic committee members signed onto the companion bill, SB 5789, leaving seven committee Democrats potentially on the fence. The Legislature adjourns sine die Sunday, April 28 (which happens to fall on Orthodox / Coptic Easter this year, so expect Saturday to be it for the regular session). 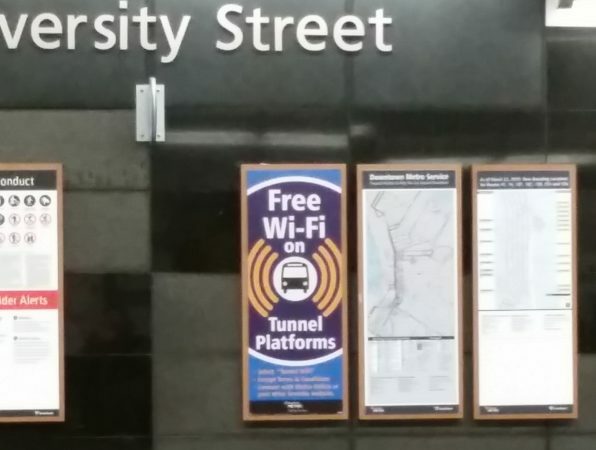 Metro adds shuttle vans to Link stations, early review is positive. Washington’s clean energy bill makes at least one wonk happy. The use of urban space for golf courses is questionable, but it’s subsidized too? City’s congestion pricing report has disappeared into a “black hole” ($) after delivery to the Mayor. 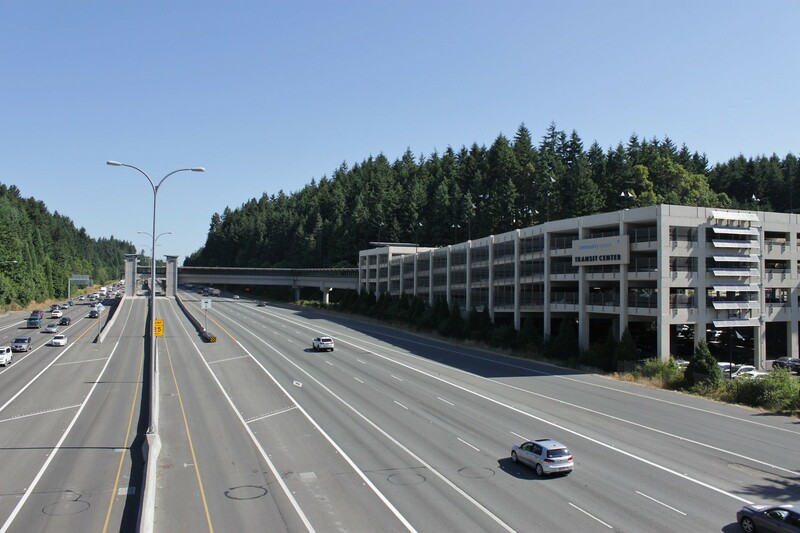 Lynnwood link will cut down some trees, but plant a whole lot more. A little victory for Spokane Transit. Seattle’s resistance to scooters is making us a bit of an outlier. Fundamental reasons Uber and Lyft aren’t natural last-mile providers. WSDOT is preparing for the Rest of the West, the remaining phases of construction on SR 520 between Lake Washington and I-5. 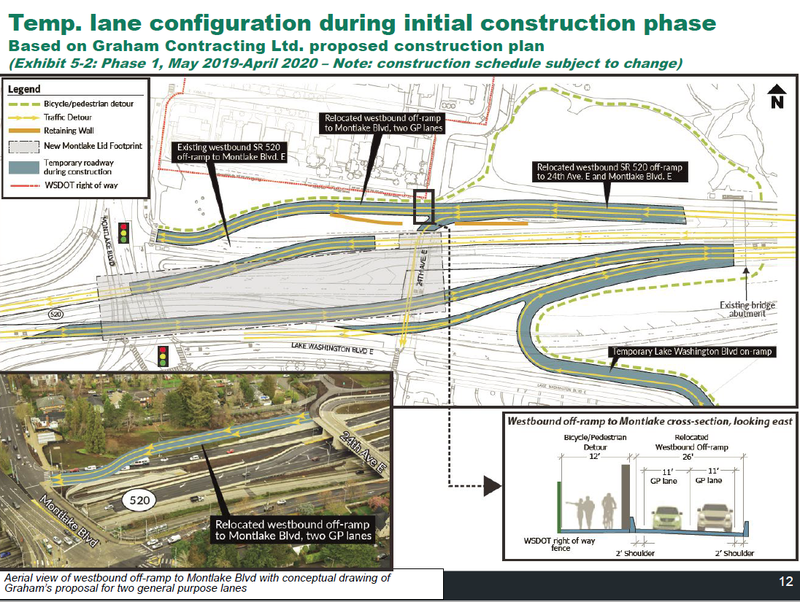 First up is the Montlake Project, where construction may begin as early as May. For transit riders, this means the Montlake flyer stop and the transit-only lanes on the Montlake Boulevard exit will both close in June. Several planned mitigations will blunt the impacts to transit riders. The closure of Montlake flyer stops means buses not exiting the freeway will no longer stop in the Montlake area. 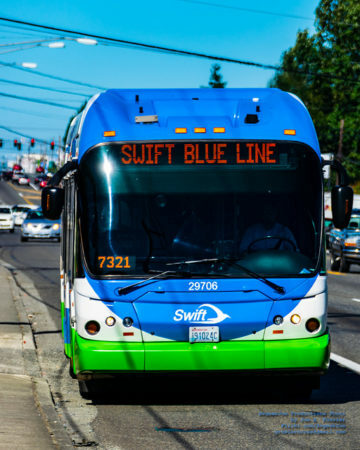 In mitigation, WSDOT is funding additional weekend and evening service on Sound Transit route 542 through March 2020. That added service commenced with the March 2019 service change. The closure of the freeway stations are targeted for June 15. In October 2018, WSDOT opened a temporary transit-only lane on the westbound ramp to Montlake Blvd. The lane, about 1100 feet in length, allowed buses to go almost to the top of the ramp before merging to the front of the queue of cars waiting to turn to Montlake Blvd. Originally scheduled to operate for just six months, the lane was extended three more months as the construction schedule was worked out. It has been very popular with transit users who have seen significantly better bus performance in the area. 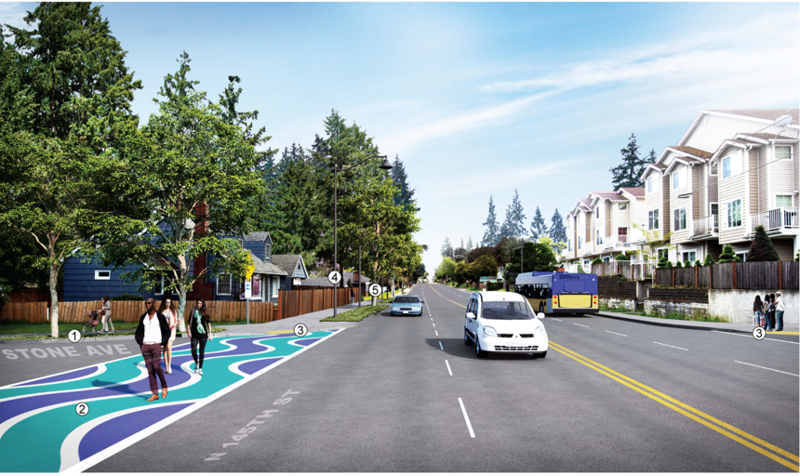 The City of Shoreline has been busy developing the preliminary design to update 145th Street (SR-523) from Aurora Avenue North to I-5. 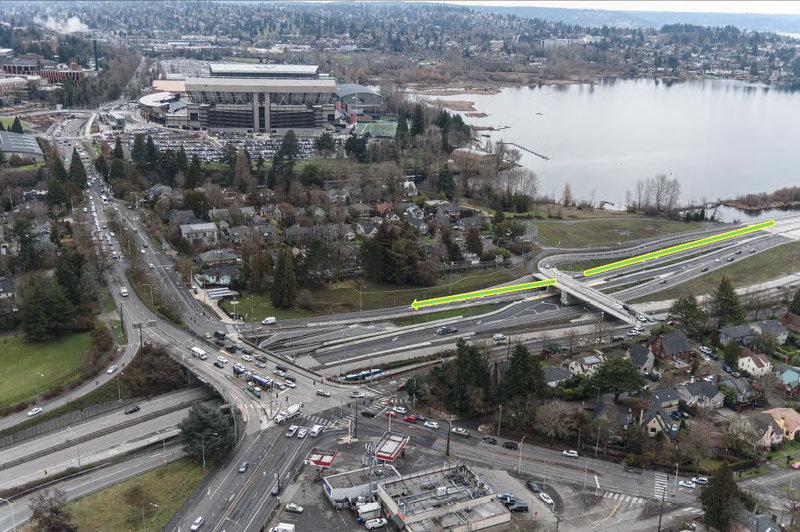 This new design will improve safety and ensure that this critical corridor can effectively serve Shoreline and the growing number of travelers who rely on it every day. The timing is planned to coincide with the opening of the Jackson Park Link station in 2024. Don’t let the word “multimodal” get you too excited. Bike lanes will be “off-corridor” (e.g. greenways), and there won’t be much in the way of bus priority (there’s only one, peak-only bus, the 304, on this section of 145th). Also the sidewalk will still be right up against the street, at least in one direction. Note that this project is separate from the Sound Transit 522 BRT project, which will also use 145th east of I-5 and which will have dedicated bus lanes. It will take nine years to plan, design and build the 1-mile Aurora-to-I-5 corridor, over three phases, at a cost of $63M. You can comment online by May 1. The connection between peoplemovers and Disney. 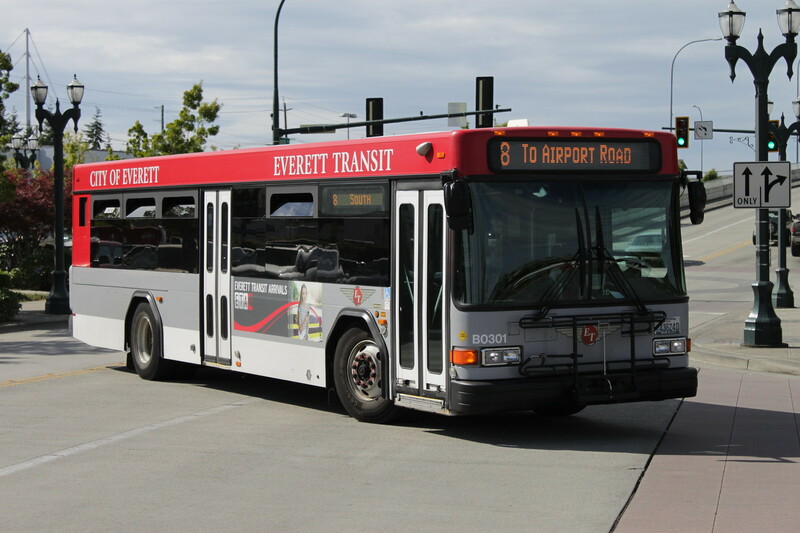 The Everett City Council voted Wednesday night to approve a new low-income fare category for Everett Transit, and set the fare at $1.50. ET Transportation Services Director Tom Hingson presented data from a fare survey that also included the option of not having a low-income fare, and the option of consolidating all reduced fares at $1. He pointed out that frequent riders strongly preferred Option 1 ($1.50 low-income and youth, $0.50 RRFP – for seniors 65+ and riders with qualifying disabilities). Seniors overwhelmingly preferred option 1 over option 2, which would have raised their fares from free just a couple years ago, to 25 cents last year, to 50 cents now, to a dollar in July. As a result, low-income qualifiers will see the same fare they are paying now, which is 50% more than the regular fare last year. ET’s new LIFT fare will be the same as the ST Express LIFT fare, and 25 cents more than the Community Transit local LIFT fare. ET’s route 70 (serving Mukilteo and Seaway Transit Center) is the only one designated by ET as a “commuter” route. Its fares are set to match Community Transit’s local fares. CT’s decision to implement a low-income half fare would normally trigger the setting of the low-income fare on route 70 to match it at $1.25, oddly making it lower than the low-income fare on the regular buses. The fares in the ORCA pod, for those agencies honoring inter-agency transfers and passes, effective July 1, are listed below the fold. Today is the last day for most bills in Olympia to get voted out of their second chamber, by 5 pm. Many important bills have already passed both houses or died. Two sit on the bubble, waiting to get voted on today in the Senate, or to die for lack of making it to the front of the voting queue. 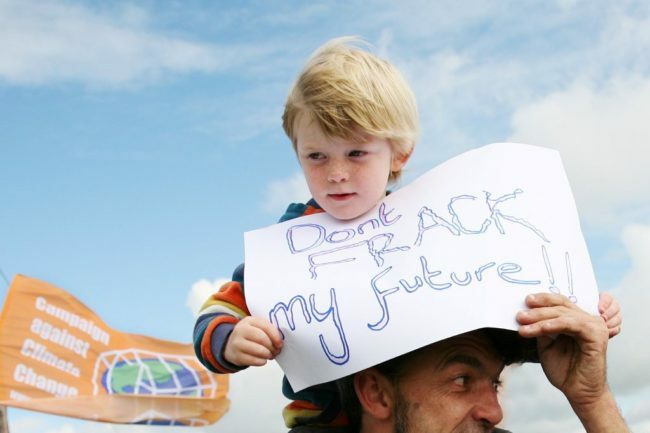 Senate Bill 5145 would ban fracking, at least for purposes of exploration for and extraction of oil and natural gas. Anything to slow down the rate at which humans pull fossil fuels out of the ground and convert them to greenhouse gases in the atmosphere can only help. Substitute Senate Bill 5695 would increase the fines for second- and third-time violators of high-occupancy vehicle and toll lanes. This would help keep buses out of gridlock, too. You can look up your representatives here or call the legislative hotline at 1-800-562-6000, or 1-800-833-6388 for TTY. Addendum: Ryan Packer live-tweeted the floor debate. The State House voted 57-41 Monday to pass Engrossed Substitute House Bill 1793, which would allow automated camera enforcement of various traffic laws, including bus-only lanes. 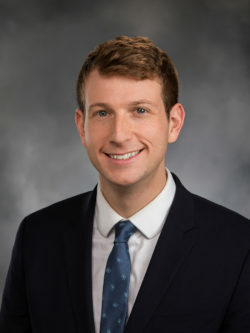 The bill was sponsored by Rep. Joe Fitzgibbon (D – Burien). The bill was amended in the House Transportation Committee to be limited to Seattle. The bill was amended further on the House floor Monday to be a pilot project through 2021, with only warnings being issued in 2019, and then giving a warning for the first offense thereafter. Additionally, half the net revenue will go to the Highway Safety Fund. The area where the cameras would be allowed was also reduced to the general vicinity of downtown. Four Republicans — Mary Dye (Pomeroy), Carolyn Eslick (Sultan), Morgan Irwin (Enumclaw), and Drew Stokesbary (Auburn) — voted for the bill. Four Democrats — Brian Blake (Aberdeen), Steve Kirby (Tacoma), Jeff Morris (Mount Vernon), and Derek Stanford (Bothell), — voted against the bill. The bill still has to go through the Senate Transportation Committee and get passed in identical language in the Senate. Since the bill is considered necessary to the transportation budget, it has until the last day of the session — April 28 — to get passed. Letters from businesses, government agencies, and community groups show a citywide desire for the West Seattle and Ballard Link extensions to be almost entirely tunnels. 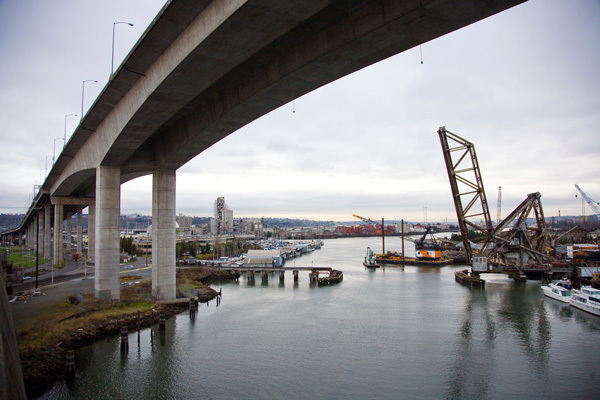 Troublingly for Sound Transit, businesses on the Duwamish Waterway made conflicting demands about where to build the bridge that will cross the river mouth, which means a costly legal fight to acquire right of way is likely. The letters indicate that the ST3 project could be headed towards a higher cost than planned. That cost could come from several scenarios that would drive expensive litigation and mitigation. The first is a contentious Duwamish crossing, with legal and condemnation battles fought against the Port, maritime businesses, and industrial concerns. The second is a similar fight over land and right of way with neighborhood groups and residents, if their tunneling preferences are ignored. On the third hand, if the agency does follow public opinion and put trains underground, engineering costs could spike dramatically. In that scenario, Sound Transit would need to either find new sources of revenue (such as the City of Seattle or the Port), find significant cost savings (as occurred with U-Link), or some combination of both. Trailhead Direct begins its second full year of service on Saturday, April 20, with expanded routes to two new trails with assistance from the county and state parks departments. 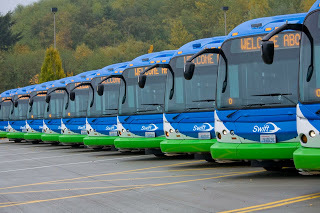 Last year, King County Metro used additional funding from the Seattle Transportation Benefit District to run from April to October on three routes between Seattle and the Issaquah Alps. The service was declared a success, carrying hikers on over 10,000 round-trips and bringing easy recreation to those who live car-free or car-lite while also reducing parking strain at popular trailheads. 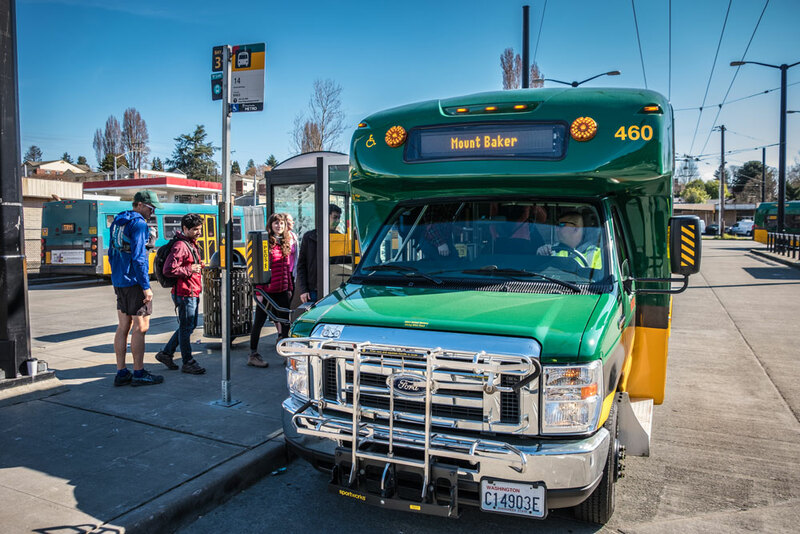 This year, Trailhead Direct will have four routes that serve various trailheads in the Issaquah Alps on weekends and federal holidays until October 27, generally running every 30 minutes from 7:30 am to 6:30 pm. The Mount Si shuttle will move its Downtown Seattle stop to Spring Street and 4th Avenue, where Route 2 picks up eastbound riders outside the Central Library, and will have additional stops on First Hill and at the Little Si trailhead near North Bend. The state Department of Natural Resources created a new drop-off area for the shuttles at the trailhead after receiving feedback from Metro and the county parks department. The Issaquah Alps loop remains unchanged, connecting Mount Baker Station and Eastgate Freeway Station (shared with the Mount Si route) to four trailheads on the south and east sides of Squak Mountain. The Mailbox Peak shuttle was previously a very short hop between a North Bend parking lot and the trailhead, but will now extend all the way to Issaquah Transit Center to connect with the other shuttles and regular service on Sound Transit Express Route 554 and Metro Route 271. The fourth and newest route in the Trailhead Direct system is the Cougar Mountain shuttle, which connects Tukwila International Boulevard Station to Renton Transit Center, the Renton Highlands (stopping at 4th & Union near Heritage Park), the Sky Country trailhead, and Issaquah Transit Center. With three of the shuttles converging at Issaquah Transit Center, Metro has allowed for simple transfers that make all nine trailheads in the newly-minted Mountains to Sound National Heritage Area easily accessible from both Seattle and Tukwila. To ride the Trailhead Direct shuttles, you only need to pay a Metro fare going each direction, via an ORCA card, cash, or a Transit GO mobile ticket, with reduced fares for those with qualifying ORCA cards. The shuttles are actually small vans similar to those used for DART and the West Seattle water taxi shuttles, seating between 13 and 27 passengers and also able to carry wheelchairs and two to three bicycles. Dogs are allowed on board, but at the discretion of the driver. The routes show up in the OneBusAway and Transit apps, as well as Google Maps for easy trip planning. Metro is also partnering with TOTAGO (Turn Off The App – Go Outside), a free app that combines transit wayfinding with hiking-specific directions and trip planning that works offline. Crossing 4th and 2nd Avenues South at their intersections with Jackson Street is a harrowing experience. The intersection is wide—four busy lanes plus a little extra—and the signal is short. Crossing the both intersections on the same signal cycle is hard, unless you’re jogging. That intersection is right in the middle of one of the busiest transit hubs in the city. Metro, Community Transit, Sound Transit, the Seattle Streetcar, Amtrak, Bolt Bus: thousands riders transfer between modes every day in the area immediately surrounding the vast intersection. 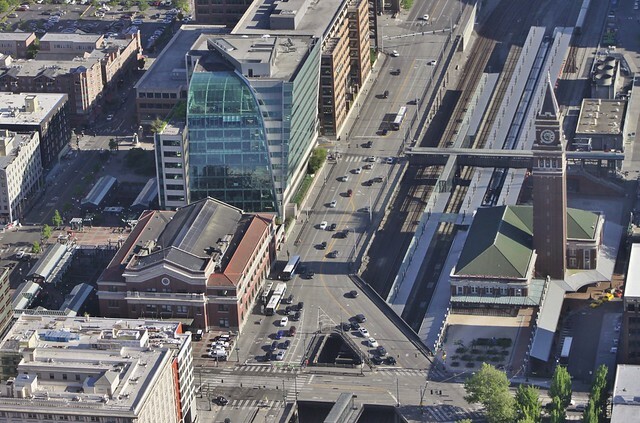 King Street and Union Stations, much-used, legacy railroad buildings, loom over an environment dominated by cars. I am totally tempting fate here by posting this, so sorry if I anger the gods, but I wanted to take a moment to recognize that there were no mudslide-induced cancellations on Sounder North this year. Sound Transit’s Bonnie Todd noted it at the last ST ops committee meeting (video – skip to the ~13 minute mark). Todd noted the stark change from the winter of 2012-13, when 27.5 days of service were cancelled. Another 1500-foot catchment wall was added in the Everett area this year, further improving reliability. Some dry months may have helped as well. 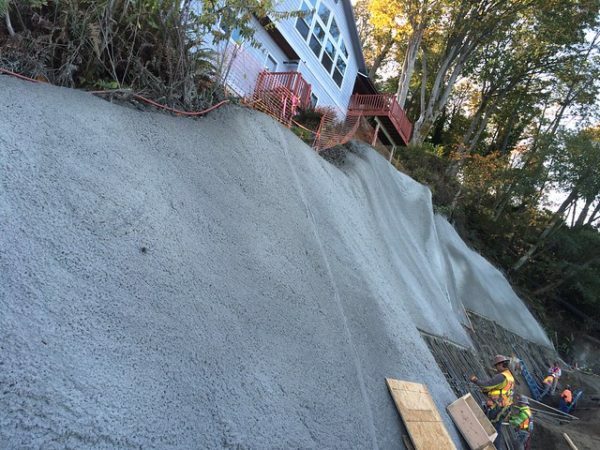 In 2015, I wrote about the mitigation efforts WSDOT and ST were undertaking. Soon after I wrote that, sure enough, there was a mudslide. More reliability is great news for both Sounder North and Amtrak Cascades. Opening new fronts. Credit: Joe Kunzler. When it comes to commuting, we may be winning the War on Cars in Seattle proper, but pretty much everyone else in the Puget Sound region is still driving to their free parking at work every day. According to the Puget Sound Regional Council (PSRC), 63 percent of commuters drive to work alone. The figure comes from the PSRC’s recently released 2017 Household Travel Survey, the latest in a series of biannual studies of travel behavior in King, Pierce, Snohomish, and Kitsap Counties. But the story is very different in Seattle proper. According to the survey’s study of general-purpose travel in the city, transit is the most popular motorized mode, with a 25 percent share. Walking is the most popular mode, with a 34 percent share, with 2% of respondents primarily biking. Community Transit’s Board of Directors approved a proposal Thursday afternoon to create a low-income fare category, and make the fare half the regular fare, rounded down to the nearest quarter. The new fare category will take effect July 1. CT will be only the second agency in the ORCA pod where low-income ORCA users will save 50% or more on their fare, joining Kitsap Transit. Each low-income ORCA card is free for first-time recipients, and is charged the low-income fare for each service that has a low-income fare. All the agencies, except Washington State Ferries, honor transfer value from trips on other ORCA-paid services, for 2 hours from time of payment. All but WSF also honor monthly PugetPasses. Loaded ORCA product will remain the only medium for getting any of the low-income fare discounts. 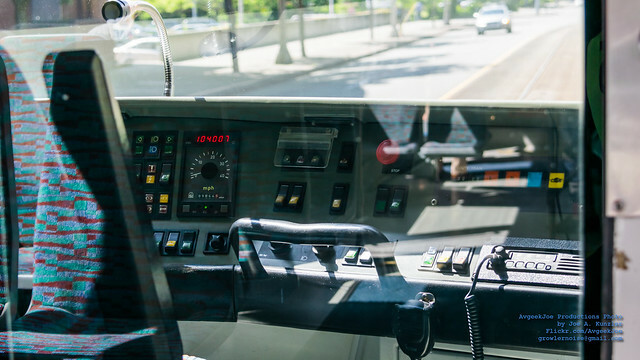 Everett Transit is in the middle of its comment period on three proposals, two of which would establish a low-income fare category, and the second of which would make that low-income fare a half fare. ET’s Option 2 would also make its youth fare (for riders 6-18) a half fare.